Clients are provided with a professional advisory service promoting client collaboration and effective communication throughout the entire project. Perth Landscape Design provides extensive knowledge and experience in all elements of landscape architecture, creative design, construction and garden maintenance. Our consultants and project managers will work with you to create an outdoor living space that will exceed your expectations. Perth Landscape Design create garden environments and outdoor living spaces specifically to meet the client’s unique requirements and enhance the individual’s property potential. All elements to the design provide a balance between plants and materials complementing each aspect of the garden and utilising maximum space. In developing an architectural plan, Perth Landscape Design deliver solutions that are responsible and sustainable to environmental conditions. There is no compromise on quality workmanship, materials or products to achieve the desired results. We source only premium building materials and equipment, and ensure our contractors meet the necessary experience and qualifications. All our staff are either qualified horticulturalists or trades people. 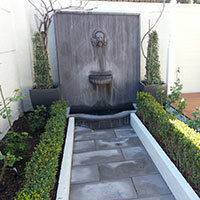 Perth Landscape Design ensures superior horticultural services by supervising all facets of each job. It uses specialist allied trades built up over 10 years, which allows for the highest quality workmanship. Whether you have a new garden or a well-established outdoor living area, maintaining a healthy and thriving environment for your garden is vital. Our maintenance services provide more than just keeping things neat and tidy. 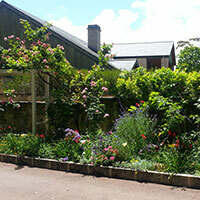 Perth Landscape Design maintain the harmony and growth of your garden by providing a healthy environment and enjoyable living space for all to enjoy.